I recently received an email from a fellow active T1D asking how I manage my blood sugar during a surf session. I thought my methods could prove useful to other T1Ds hitting the surf or performing any strenuous physical activity. Surfing with type 1 diabetes can be complicated. There are a lot of factors to consider and variables that are out of your control. I had a tough time getting back in the water after my diagnosis in 2013 (read more about that here) but after many low blood sugars and ketone scares, I learned from failing and have come up with a pretty efficient, albeit far from perfect system. Going surfing with type 1 diabetes? Read on and learn how to stay safe and worry free in the water. Disclaimer: I am not a diabetes or health care professional. Consult your doctor or diabetes care specialist before altering your treatment in any way. Also, everyone is different, these techniques are what has worked for me but the specifics may vary for others. Surfing is physically taxing on everyone. Constantly paddling, battling the ocean to be in the exact right spot at the exact right time to catch waves, and then turning around and fighting those same waves to get back out into the lineup requires a certain level of physical fitness. Surfing burns calories and carbs like a wildfire. For someone with type 1 diabetes, surfing can drop blood sugars fast, causing severe and dangerous hypoglycemia. 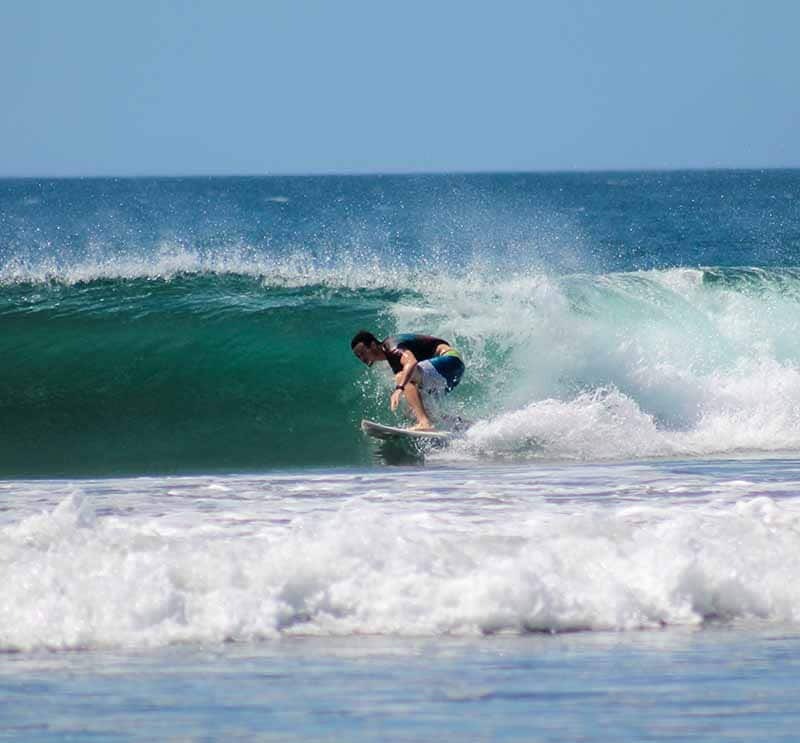 Furthermore, the adrenaline released by the intoxicating rush of riding a wave can mask the usually obvious feelings of a low blood sugar. Epinephrine, also known as the fight or flight hormone, is responsible for causing the symptoms diabetics normally feel during a low blood sugar but is also released while surfing or during other exciting activities such as riding a roller coaster or snowboarding. 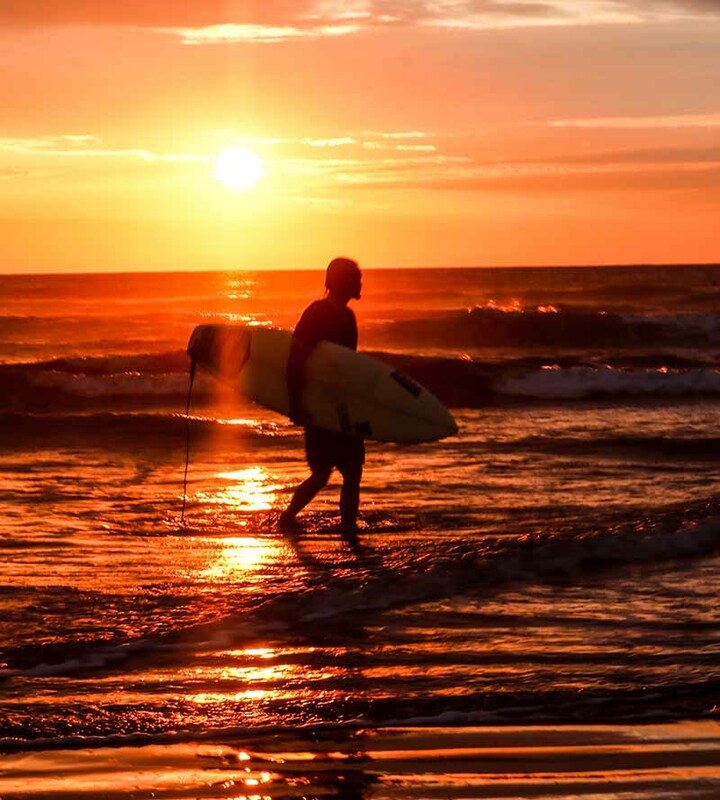 Surfing with an insulin pump or constant glucose monitor (CGM) poses another set of issues. Insulin in a pump can overheat and lose its potency or inset sites can rip off in heavy waves. CGMs lose their signal to the receiver because they are not waterproof and transmitters pose a risk of being ripped from the skin. Ok, I know, all of that makes surfing with type 1 diabetes seem daunting but stick with me. Surfing changed my life and is the most fun and rewarding activity I have ever experienced. It is 100% possible to surf with T1D. Here’s how. Carb loading is a technique used by many T1D athletes. It consists of eating a meal high in carbs before an activity and either taking a smaller than normal dose of insulin or skipping the dose altogether so that blood sugars are slightly higher, preventing exercise from dropping them to dangerous levels. Carb loading poses a couple risks if not done carefully. High blood sugar or hyperglycemia can cause headaches, difficulty concentrating, and fatigue. This is most unwanted before a surf session or any physical activity. 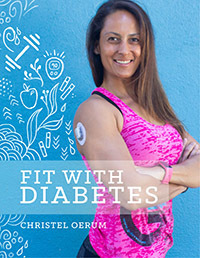 Intense exercise and purposely increasing blood sugar can also put a T1D at risk for increased ketone levels or diabetic ketoacidosis (DKA). My method of carb loading for surfing is to increase my blood sugar to around 225-250 mg/dl before paddling out. High enough to safely allow for a significant blood glucose (BG) drop during the session, but not so high as to cause severe hyperglycemic symptoms or elevated ketone levels. I accomplish this by eating around 25-40 grams of carbs (depending on my current BG level) without taking my mealtime insulin. I try to carb load as close to paddling out as possible, as to not allow the hyper symptoms to set in before the session. This isn’t always easy, as mother nature can be unpredictable and many factors can delay the actual time of paddling out. With my blood sugar around 225-250 mg/dl, I can usually surf comfortably for 2-3 hours before needing to go in and check my blood. Adjusting long-acting insulin doses before a day of surfing or other activity is a commonly prescribed method to prevent hypoglycemia. Unfortunately, when it comes to surfing and mother nature, everything is so unpredictable that you could change your basal dose in the morning or night before and then the waves could not cooperate, leaving you sitting on the beach with not enough insulin in your system. This is why I choose to keep my basal doses the same and just skip my mealtime insulin before surfing. Figuring out exactly how much to eat and adjusting insulin before a surf took time and a lot of trial and error. There are many factors that affect how many carbs are burned while surfing. Consistency and size/power of waves, length of paddle out to the lineup, and number of people in the water can drastically change the intensity of a surf session. My method succeeds in keeping my BG in range most of the time. I usually end up around 75-85 mg/dl after a 2-3 hour session but there have been plenty of times where I have felt sluggish from a high blood sugar or have had to cut a session short due to hypoglycemia. Be careful when adjusting your routine in order to surf. Make slight adjustments and come in to check your blood often. Remember you may not always feel the symptoms of a low. Low blood sugar poses the highest risk while surfing with type 1 diabetes. Even with careful planning, all that paddling and wave riding can send sugars spiraling down below 70 mg/dl without you ever noticing the normal symptoms of a low. For this reason, I always carry a pack of fruit snacks or glucose gels in my board short’s pocket or in the leg or zipper of my wetsuit. This way I can combat a low if I feel one coming on and stay out in the water longer. When experiencing a low after surfing, I like to treat it in two stages. First, I will eat/drink a fast-acting sugar consisting of 15-20 grams of carbs. My favorites are Gatorade, juice boxes such as Hi-C, Sweetarts or Mott’s fruit snacks (they don’t contain gelatin, gelatin is gross). Then after around 10-15 minutes, I will eat another 15-20 grams of slow acting carbs such as a granola or protein bar or a slice of bread with peanut butter. The reason for the two-stage treatment is that the effects of intense exercise like surfing on blood sugar can be prolonged. Spacing out treatment of the low ensures you won’t just drop again after a snack. The obvious issue of surfing with diabetes technology such as insulin pumps and CGMs is they aren’t waterproof, well not all of them at least. Let’s look at our options. CGMs – Wearing your CGM transmitter in the water is perfectly fine. You keep it on in the shower right? The problem is that the receiver is not waterproof, and therefore the two devices will be too far apart and the signal is lost once you hit the water. I have been experimenting with a way around that using my smartwatch that you cab read about here. Pumps – Most insulin pumps on the market are not waterproof except for a few. And even those that are waterproof still pose a risk of being ripped off by waves or from falling off the board. Here’s a list of waterproof pumps and their respective depth and duration specifications. There are also waterproof cases that work with insulin pumps, but I wouldn’t fully trust them and they seem like they would be cumbersome in the water. Insulin in waterproof pumps is more susceptible to damage from high heat or direct sunlight. Many pumps’ adhesives are poor and can come unstuck in saltwater. If you choose to stay on your pump and it comes off in the water, you run the risk of losing it and now have no insulin on board to combat high BGs. Try using waterproof tape such as Opsite flexifix to keep pump insets and CGM transmitters in place. When it comes to surfing, MDI makes the most sense as far as insulin delivery goes. There is no concern of insulin overheating as long as your pens are stored somewhere cool and safe such as a fridge or Frio Cooling Sleeve. With MDI, no matter what happens in the water, you will have basal insulin on board. After diagnosis in 2013, I immediately got on an Omnipod pump and decided to ditch it after six months when I realized it just wasn’t working out while surfing. Most importantly, HAVE FUN! Surfing is absolutely addicting. What other activity allows you to ride and express yourself on a fleeting form of energy created by mother nature? 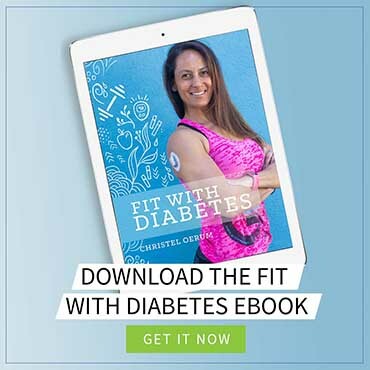 Don’t let diabetes keep you out of the water. If you follow the info above, I promise you will have the time of your life! Zach has always lived a life unscripted, chasing adventure and longing to travel this world’s far corners. A diagnosis with Type 1 Diabetes in 2013 did little to dampen his spirit. Through his blog Travelbetic, Zach hopes to challenge the stereotypes about type 1 diabetes and inspire others to overcome life’s obstacles and lead a healthy life through travel and adventure as well as raise awareness about type 1 diabetes and debunk common myths surrounding the disease.